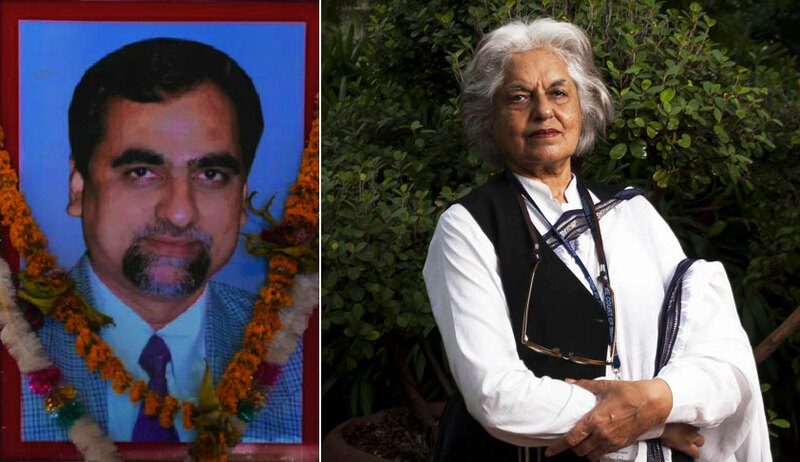 Over 2 months after it dismissed a string of writ petitions seeking an independent probe into the death of CBI special judge B. H. Loya, the Supreme Court on Monday heard Senior Counsel Indira Jaising’s application for the removal of certain adverse remarks recorded against her in the judgment pronounced on April 19. In the main matter, Ms. Jaising had appeared on behalf of intervenor Admiral Laxminarayan Ramdas. Senior Advocate A. M. Singhvi, representing Jaising before the bench of Chief Justice Dipak Misra, Justice A. M. Khanwilkar , and Justice D. Y. Chandrachud, repeatedly urged that she had not harboured “the slightest intention to be disrespectful or cause hurt or insult” which may amount to scandalising or lowering the dignity of the apex court, and the judiciary of the country at large. He pointed out that the order dated September 27, 2012 of the Supreme Court in connection with the ‘Sohrabuddin Sheikh encounter trial’ [CBI v. Amitbhai Anil Chandra Shah, (2012) 10 SCC 545], had specifically directed that, “the Administrative Committee (of the Bombay High Court) would assign the case to a court where the trial may be concluded judiciously, in accordance with law, and without any delay. The Administrative Committee would also ensure that the trial should be conducted from beginning to end by the same officer”. It may be noted that Ms. Jaising, in the course of the hearing of the PILs for an investigation into judge Loya’s death, had sought that notices for civil contempt be issued to the judges comprising the Administrative Committee of the High Court for directing the transfer of judge Utpat. “What she had argued was that judge Utpat (to whom the said trial was assigned prior his replacement by judge Loya) could not have been transferred on account of the language used in Your Lordships’ order. That was her perception of the law. That perception could be wrong, but she felt that the order of this court had been violated. This was the only point she argued.”, submitted Dr. Singhvi. “You were not here! How can you say this was the only point?”, intervened Senior Counsel Mukul Rohatgi, representing the State of Maharashtra. “This was the principle point that I argued with vigour. In a relatively benevolent exercise, Your Lordships’ have not initiated contempt. However, this, being a court of record, Your Lordships’ judgment remains as a permanent record. My client is an advocate of 55 years’ standing at the bar. She has been associated with NGOs and several non-commercial objectives.No purpose is served by retaining these adverse remarks on the permanent record...”, Dr. Singhvi continued addressing the bench. The aforesaid prayer (c) seeks calling for the records of the meeting of the administrative committee of the High Court dated June 25, 2014 to ascertain the reasons for the transfer of Judge Utpat, and to ascertain whether the consent of the apex court was obtained or whether this court was kept informed that Judge Utpat was being transferred. Dr. Singhvi clarified that he was not pressing the prayer. “Every word of the judgment had actually transpired in this court.I was present at each hearing. Someone had suggested that the judges of this court (Justices Khanwilkar and Chandrachud, members of the bench headed by the CJI which had heard the PILs) should recuse. Another person had said that the judicial officers accompanying judge Loya were suspects. Then there was the submission for initiation of contempt against the Administrative Committee.”, continued Mr. Rohatgi passionately. “I do not think Mr. Rohatgi and his client have any vested interest against the expungement of these remarks. What Your Lordships had said has been heard loud and clear. However, to expunge the remarks or not continues to be Your Lordships’ prerogative. Your Lordships’ are the masters of the judgment.”, concluded Dr. Singhvi, as the bench reserved its order.